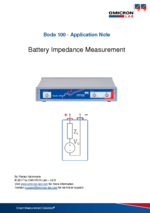 This application note shows how the Bode 100 is used to measure the impedance spectrum of a battery. Battery Impedance includes information about the internal state of a battery. 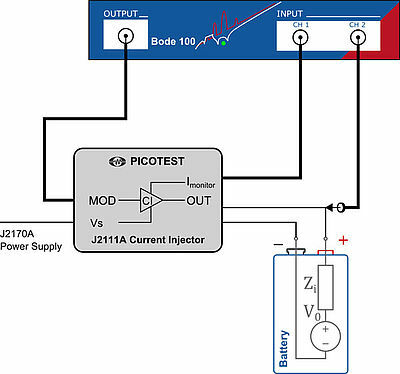 Measuring the battery impedance over frequency helps to identify the characteristics of a battery. 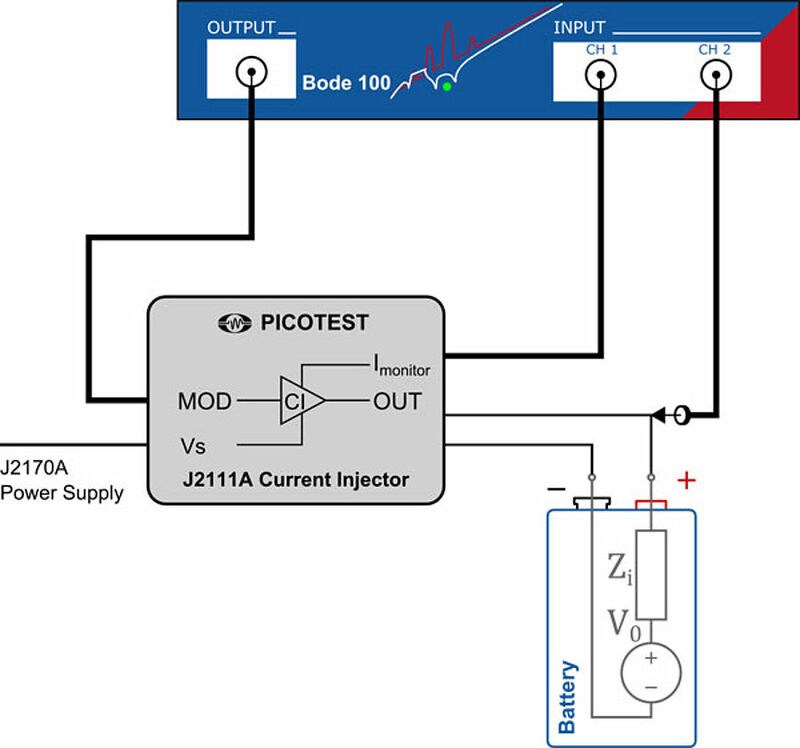 The Bode 100 in conjunction with the Picotest J2111A offers a simple test set to measure the impedance spectrum of a battery in the frequency range from 1 Hz to 10 MHz. If you want to know more about this measurement, please download the application note.